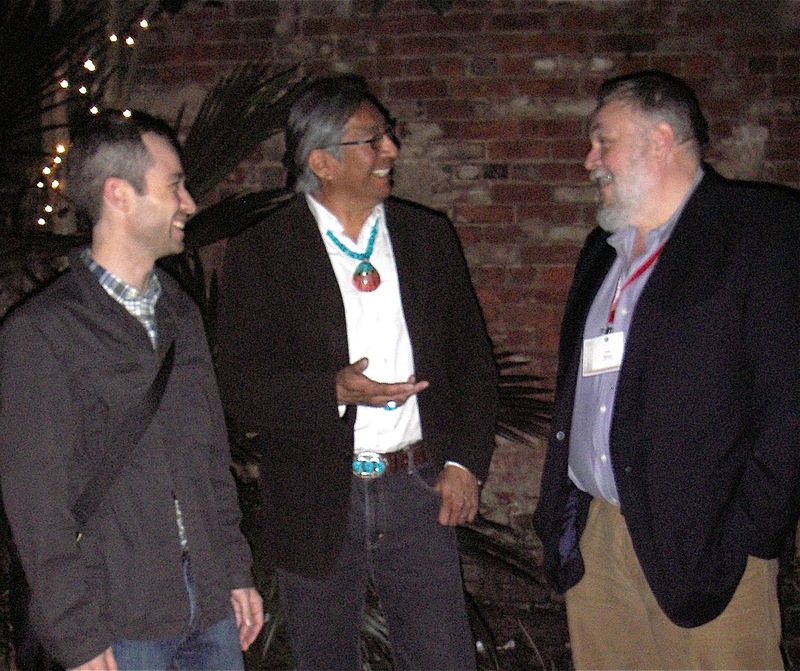 Every year at the American Anthropological Association Annual Meetings, the Council for Museum Anthropology hosts a reception for members and invited guests. In recent years, these receptions have been held at museums in the host city; some museums have also offered special behind-the-scenes tours of collections for CMA members. The 2017 reception was by hosted by the Smithsonian’s Center for Folklife and Cultural Heritage. 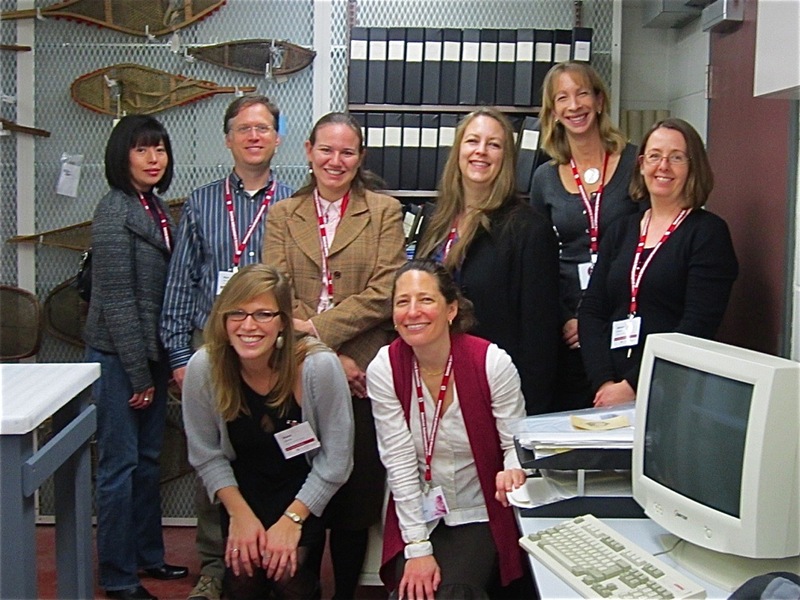 We also offered our members a behind-the-scenes tour of the Smithsonian National Museum of Natural History Department of Anthropology and National Anthropological Archives collections at the museum’s off-site storage site. We also encouraged our members to attend the 10-year anniversary event for the Summer Institute in Museum Anthropology, which has trained so many of our colleagues. The symposium was held in the QRIUS theater at the Smithsonian’s National Museum of Natural History, Washington, DC. 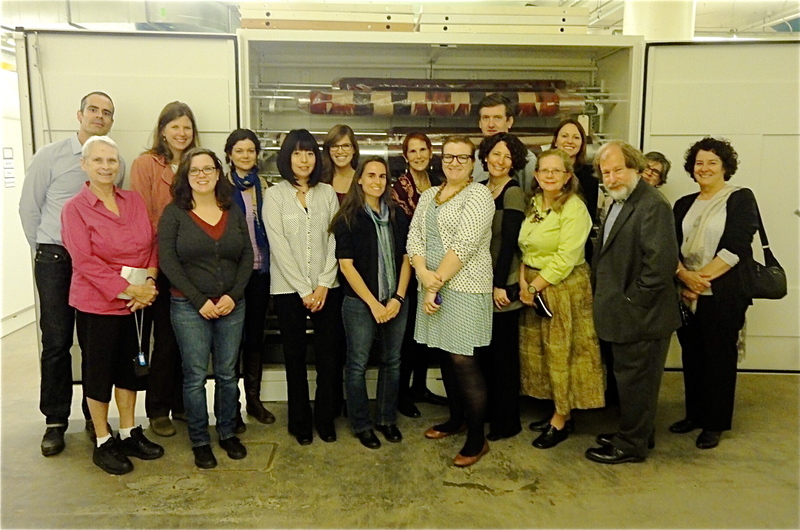 We were also were hosted by the Minnesota Historical Society for a tour of their ethnographic collections! Honoring outgoing CMA President Alex Barker at the 2012 CMA Reception. Nancy Parezo, recipient of the CMA Lifetime Achievement Award. with Karl Hoerig at the Loyola University Museum of Art. Photograph by Cara Krmpotich. 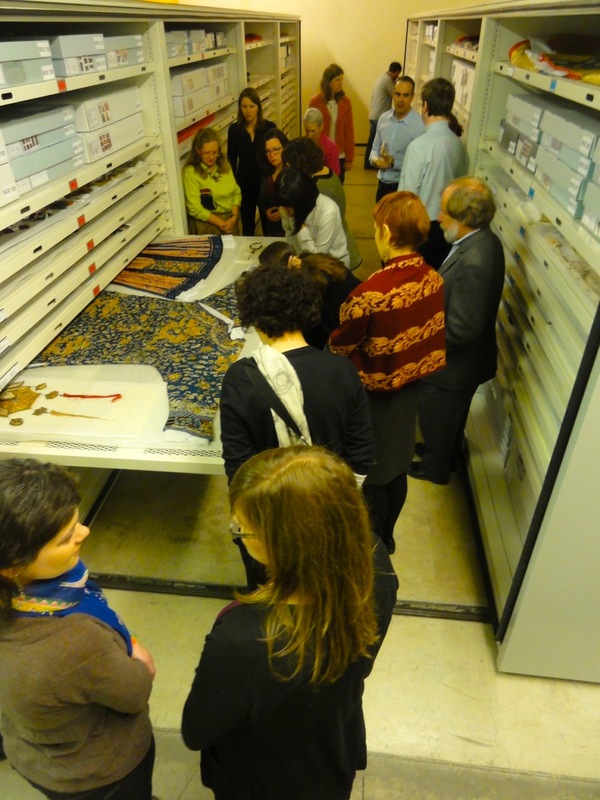 CMA members viewing Chinese embroidered robes and skirts at the Hearst Museum’s off-site storage facility. Photo by Louise Hamby. CMA members at the Hearst Museum’s off-site storage facility. Back row, left to right: Jonathon Goodrich, Rachel Wright, Rachel Roy, Diana Marsh, Laurel Kendall, Alex de Voogt, Catherine Nichols, Trish Capone. Front row, left to right: Karen Quail, Megan Clagett, Cynthia Chavez Lamar, Jen Shannon, Jacklyn Lacey, Jennifer Kramer, Louise Hamby, Ira Jacknis, Trudy Nicks. Photo by Louise Hamby. Behind the scenes tour of the McCord Museum collections. 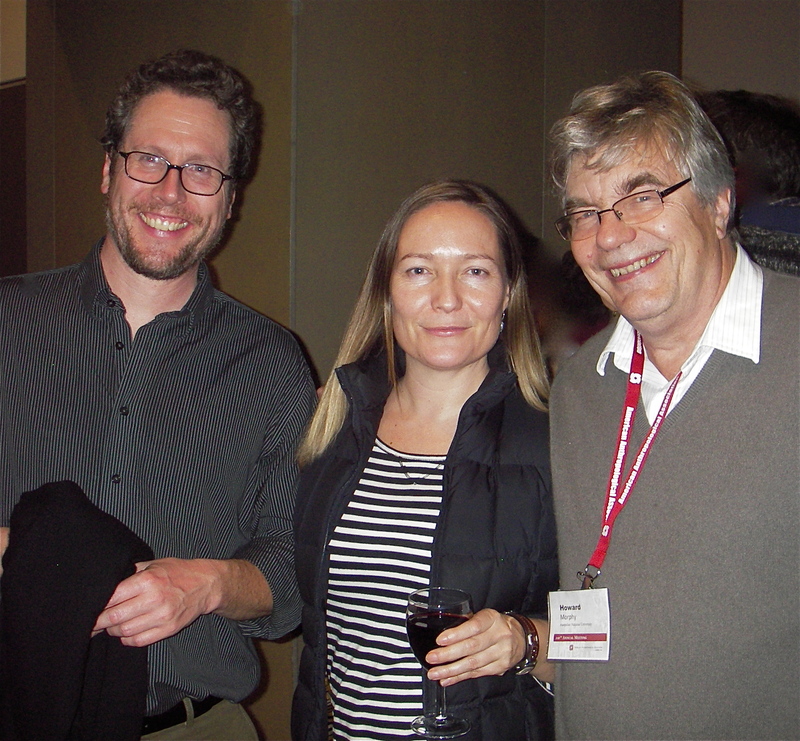 Morgan Perkins, Gwyn Isaac, and Howard Morphy at the McCord Museum reception. Photo by Marge Bruchac.